Marvel has done a fantastic job of presenting this milestone issue. It’s an AMAZING ride cover to back. The chapters are broken down and illustrated by different artists. The styles all work really well with each other and it’s nice some artists come back for this issue. Spidey faces one of his greatest challenges. Harry Osborn(The Green Goblin)has bonded with the symbote Carnage. Simply put Harry Osborn is out for blood. Dan Slott has done a quality job of increasing the level of intensity chapter after chapter. 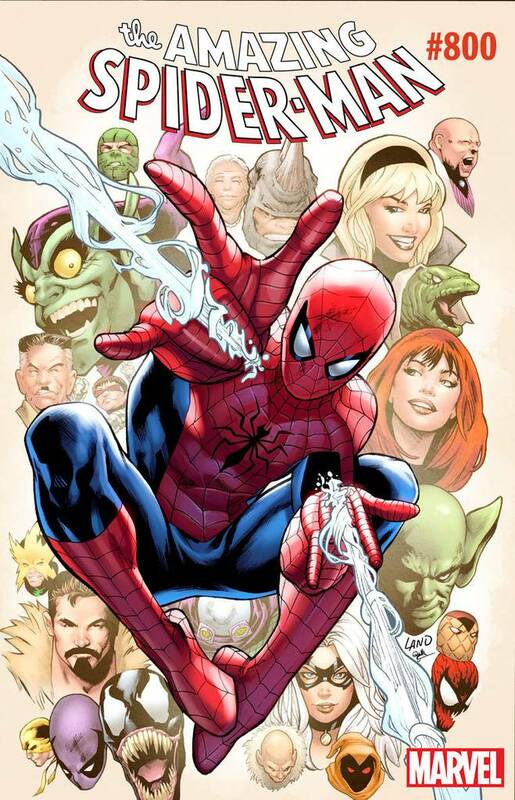 Peter Parker has some serious growth moments that the character has probably needed in years. Venom, Doc Ock, and Flash Thompson have their own issues with Spider-Man/Peter that each come to a certain resolve and revelations. This all comes with a sacrifice that unfortunately comes with this type of issue. You have to take the ups with the downs…this issue has them. The ending has some potential questions that could into play since it’s the next to last issue that Dan Slott is writing. FYI…He is doing the Fantastic Four next. Issue #800 does come with a $9.99 price tag, but for the 80 pages it’s worth the investment and definitely one of the best reads in the Spider-Man catalog.